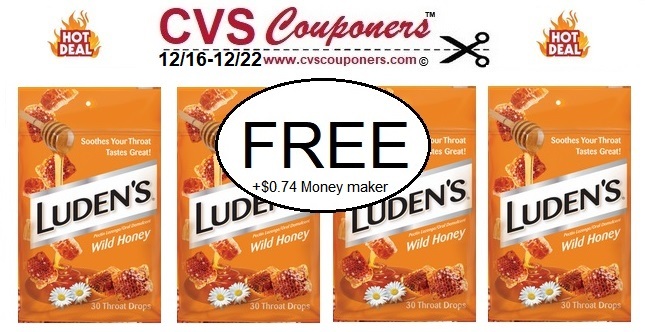 This week 12/16-12/22 Receive $3.00 Extrabucks when you buy two Luden’s Cough Drops on sale BOGO 50% off, use with selected coupons and cahback offer listed in CVS coupon matchup deal we provided for you below and Score Luden’s Cough Drops for FREE + $0.74 Money maker. ➧FREE Wine - Join Winc Wine & Get discounted wines delivered to your door! Cancel anytime.